Demand-controlled ventilation has the potential to provide significant HVAC energy savings by conditioning only the amount of ventilation air necessary to maintain good indoor air quality. It can be particularly effective in buildings or zones that have widely varying occupancy such as classrooms, multi-purpose rooms, theaters, conference rooms, or lobbies. A study by the State University of New York and the Lawrence Berkeley National Laboratory have shown that even low to moderate CO2 concentrations have an impact on human decision-making performance. With ventilation system aiming to lessen the levels of CO2, those negative effects on people's performance could be avoided. In addition to affecting people's comfort, poor indoor air quality can also impact people's health. Indeed, exposure to VOC can cause eye, nose and throat irritation; headaches, loss of coordination, nausea; and damage to the liver, kidney, and central nervous system. Also, inhaling fine particles can affect both respiratory and cardiovascular systems. To measure air quality indoor and provide this information to a ventilation system, eLichens has developed solutions to measure several types of indoor pollutants: Carbon Dioxide (CO2), Volatile Organic Compounds (VOC) and Particulate Matter (PM2.5 & PM10). Possessing cutting-edge NDIR (Nondispersive Infrared) patented technology including patented IR source, patented optical design and advanced signal processing algorithms, eLichens CO2 sensor is the smallest, ultra-low-power consumption CO2 module in the world. 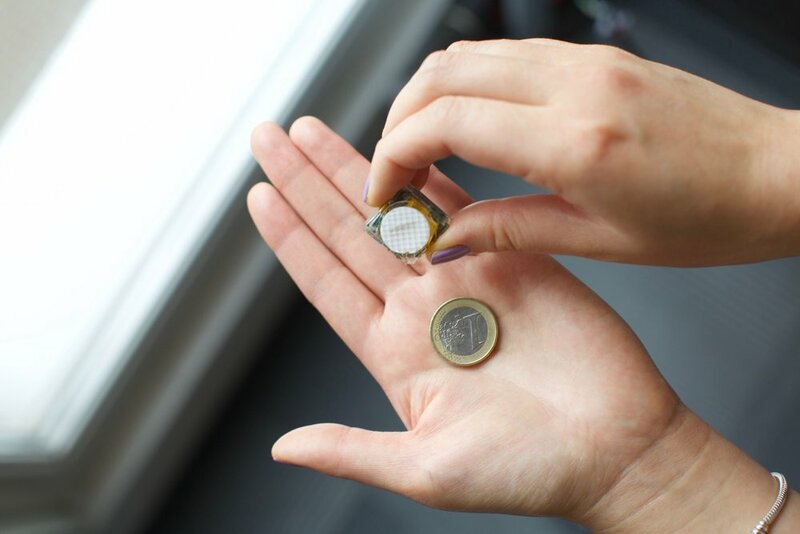 The low-power is a key differentiator permitting innovative applications based on energy harvesting or battery-powered products. Its mechanical architecture can be customized to meet better integration into final products. eLichens sensors can be integrated into an indoor Air Quality Station which is compact, low power and cost optimized to offer relevant measurement of indoor air pollutants such as CO2, VOC, PM2.5, PM10 and also temperature, pressure, humidity and noise. The station is connected to a cloud for the data to be cloud calibrated and treated. Thanks to eLichens cloud, it is also possible to have access to outdoor air quality data and provide a complete study of the air you breathe outside and inside. Depending on the application, the station can be customized to fit the need of our customers.